We’ve been excitedly sitting on today’s guest post for nearly a year! We are so happy to finally share this lesson with you — perfect for the late fall and early winter as you scramble to engage your students in meaningful work before Winter Break! Adrian Nester is an AP English teacher and journalism adviser at Tunstall High School in Dry Fork, Virginia. After 16 years of teaching, she is thankful to have met her AP Lit Help teaching community when entering into her mid-career crisis years. She is the mother of two, wife of one, and teacher of many. Each year at the end of the first semester, I reward my juniors with a day of reading Truman Capote’s “A Christmas Memory” and a slice of sub-par store bought fruit cake. That was it. Although my intentions were good, I did a disservice to Capote, my students, and definitely the fruit cake. This year with four days left before the scheduled exam review, I decided to take a different approach with “A Christmas Memory” and use it as a mentor text for crafting personal narratives. I became familiar with using mentor texts this summer after reading Allison and Rebekah’s Writing with Mentors and used the concept with some nonfiction pieces, but would it work with fiction? Fiction is so unique to each individual writer, could it work as a mentor text? Would it be so impactful that it would help them borrow the writer’s moves and become more like “real writers” as with Karla Hilliard’s post on The House on Mango Street. To open class, students were asked to write in their journals about some Christmas or winter memories and traditions. Next, we read Capote’s “A Christmas Memory” purely for enjoyment. The students were engaged, amused, and even emotional at the end of this reflective piece. I mean who can keep it together when reading about Queenie’s death? With little prompting, students noticed Capote’s use of similes, colons, semicolons, italics, and parentheses and how they all contributed to his style. I gave the students the assignment of writing their own Christmas or winter memory (350-650 words) which would be largely or fully autobiographical. Rough drafts were due in two days. They were encouraged to focus on one single memory as Capote does with the making of fruit cakes, while adding reflective elements. Day Two: We watched the ABC Stage 67 (1966) black and white version of “A Christmas Memory” with Capote narrating in his distinctive high-pitched voice. Students made a list of techniques that made Capote’s style exceptional and engaging. The list included his syntactical choices of colons, semicolons, and parentheses, and his use of similes to add to description such as “‘My, how foolish I am!’ my friend cries, suddenly alert, like a woman remembering too late she has biscuits in the oven.” Students who struggled with introductions and conclusions were led to the narrowing of focus in his introduction and his reflective ending and encouraged to use these techniques to enhance their own stories. Students self-edited their own papers with what I call “earmuff reading.” Students covered their ears and whisper-read their papers aloud. They were surprised at how many small errors (deleted words, repeated words, confusing/wordy sentences) that they found when completing this simple exercise. Students were placed into pre-arranged groups of three where they read their narratives aloud. The remainder of the class time was divided equally into segments. Each piece of writing was the total focused of the group for 11 minutes. Group members were encouraged to give one “glow” and one “grow” to each writer and focus on the possibility of adding some of Capote’s style elements to enhance each other’s writing. Students quickly saw how much focused editing could really be done in 11 minutes. After the first 11 minutes, students shared what they had gained in the editing process. The greatest benefit seemed to go not to the students who had read their own papers, but to the students listening and providing comments. Students had personal realizations about changes that they should make to their own papers especially in the area of clarity, word choice, and tone. The final step was to move the narratives from the page to the website http://www.vocaroo.com , which is a simple and easy to use site that provides a URL or email link for the students’ work. This was an essential step in improving each student’s voice. Many of their narratives included dialogue (as did Capote’s) and this became more effective when read aloud. These links could then be placed in a Google doc or shared on social media for family and friends to enjoy. One student even had her dad read and sing his parts in her story. I think I have cried a total of twice ever in my classroom in sixteen years of teaching (and one of those times I was eight months pregnant). The day that students shared their narratives was certainly an exception. Students wrote about cancer as an uninvited guest as Christmas dinner, phone calls they never received from absentee dads, and parents with no money for Christmas gifts. Students who had been mediocre writers found their voice in this narrative because this Christmas memory belonged to them, with Capote serving as their guide every step of the way. Every paper had some exceptional images and descriptions, while many of the papers were complete pieces perfectly capturing the joy and sadness of a Christmas memory. I decided that if I was asking my students to do something so intensely personal that I should participate myself. What I gained was incredible. I wrote a rough draft and followed the same process as the students by joining one of the smaller groups for peer-editing. Students pointed out repetitive phrases, helped me find just the right verb, and gave me suggestions for improving my ending. I recorded my Vocaroo and shared it with my class and my friends and family. I believe the students felt an ownership of their ability as competent editors when they heard their suggestions come through in my final draft. This lesson came at the perfect time and gives me hope that things that I really love to teach can be adapted and improved to bring life to an old lesson. In the process this will improve student engagement, editing skills, and final written products. “Our star is unique. It’s made of a cutout cardboard pizza box from about twelve years ago. It’s about the size of handheld mirror, has silver and gold glitter on one side, and on the other you can still see where it has “Pizza Hut” printed on the box we used. It’s held on the tree by an old toilet paper roll and stuck together with glue. A student Vocaroo sample by Abigail R.
How might you use this text to engage students in writing? What other texts do you use as mentors for holiday writing? 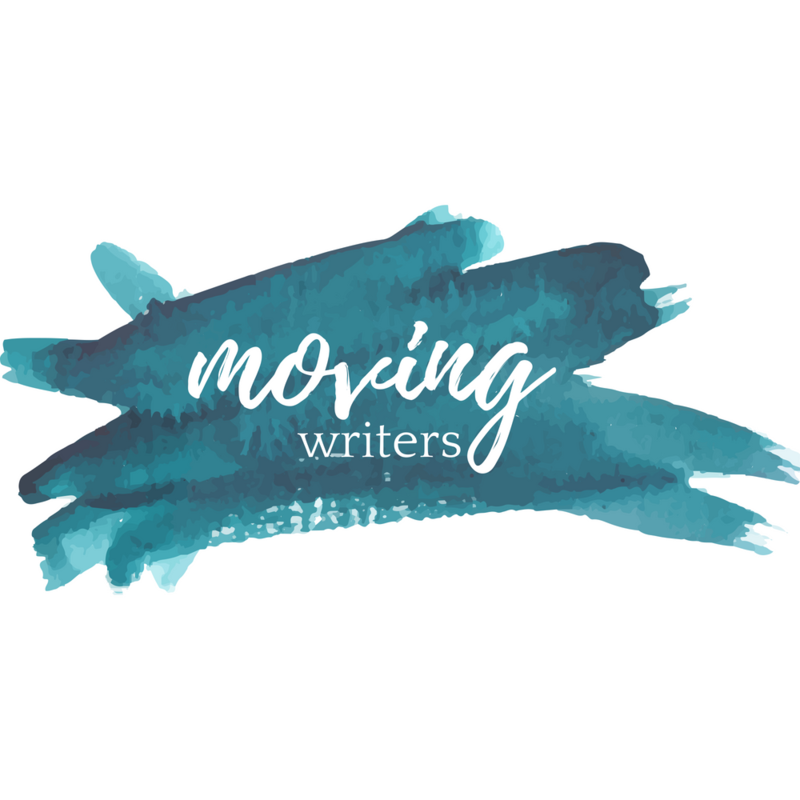 Comment below, find us on Twitter, or connect with Moving Writers on Facebook.